Bike makers Scott and Felt crack on with getting their UCI stickers in place. 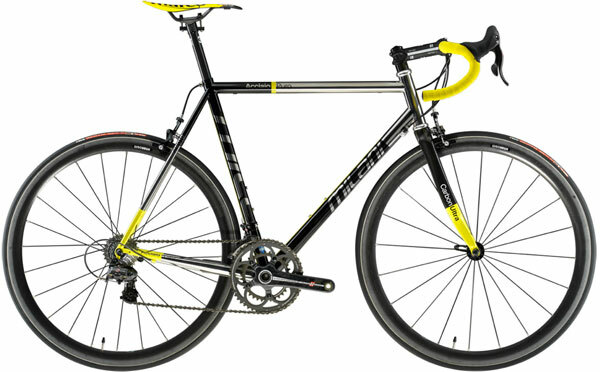 Whatever Cycling Weekly thinks of the UCI frame manufacturer’s approval process, the brands have been getting on with submitting first drawings and then actual samples of all the size options of their racing models for checking that they comply with the governing body’s measurements criteria. 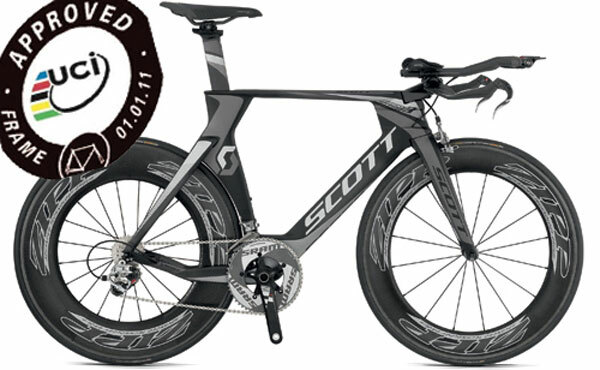 This week both Scott, with the Plasma Premium (shown below) and Felt with the DA time trial frame, have announced that theirs have passed muster with the UCI’s boffins and that production has started, ready for the summer. Clothing mail order specialists Always Riding is now shipping the DZR range of “Urban” cycling shoes. Designed in Palo Alto, California, there are six styles including one specifically for women and they all look like permutations on the theme of shoes and boots for basketball. Cunningly concealed beneath the facade, however, is a proper cyclist’s stiff sole with a recess for SPD-style cleats. These DZR GMT-8 models shown are £75 for the pair. Mad Fiber wheels are go! 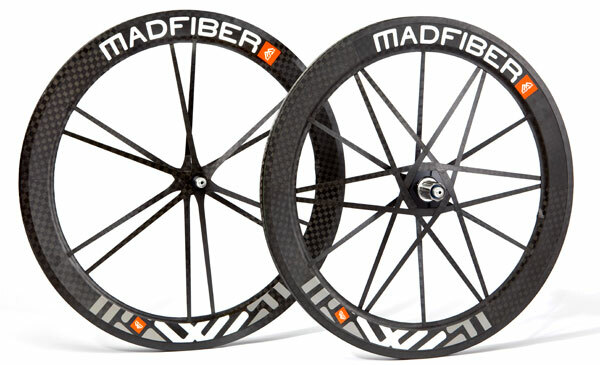 Our February 17th issue scooped the news that Mad Fiber carbon wheels would be coming to the UK, having had an apparently successful launch period in their United States home market. As of this week, the first few are indeed here, starting with Sigma Sport in Surrey and the Tri Store in Eastbourne,Sussex with further dealerships to be announced. 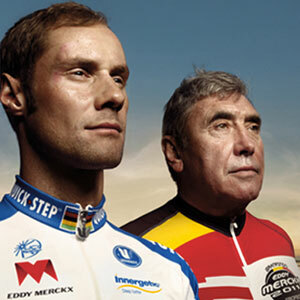 Visitors to the Eddy Merckx Cycles website can take part in a contest to win Tom Boonen’s Quick Step EMX-5 team bike worth €7,795 and a ride entry with the great man Eddy Eddy Merckx himself. Each registration will mean 10 eurocents gets donated automatically to Mr Merckx’s favourite cause – the children’s cardiology research department at University Hospital, Leuven. Anyone can participate, limited to once a day, until the contest closes on August 1st 2011. The fifth Eddy Merckx Classic takes place on 4th September 2011 in Eugendorf near Salzburg in Austria, with a choice of two routes. You may remember me enthusing about Milani frames at the last London Cycle Show at Earls Court. At that point, their Celeste Milani was being enigmatic about how UK distribution was going to work other than that they were aiming for 10 – 20 dealerships and that they weren’t in any hurry until they found the right ones. It appears things have moved on; the first two are now appointed in Psycle Werx, Bristol and Tokyo Fixed Gear in London. A good excuse to look again at that Acciaio Puro model in Columbus XCR stainless steel, with a frame and fork price now set at £2,750. It’s always nice to make a useful discovery down at the bike shop; all the better if it costs £4.99 and replaces something fabricated out of a leaky old bidon. 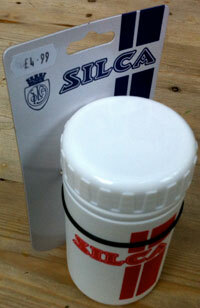 This screw-top canister by Italian pump-makers Silca fits in your second bottle cage and contains either the stuff that would otherwise go under your saddle, or a rolled up rain jacket, even better a substantial amount of food. I easily squeezed in three Go Bars and four Mule Bar Energy Gels; ideal for a century ride, I’d have thought.